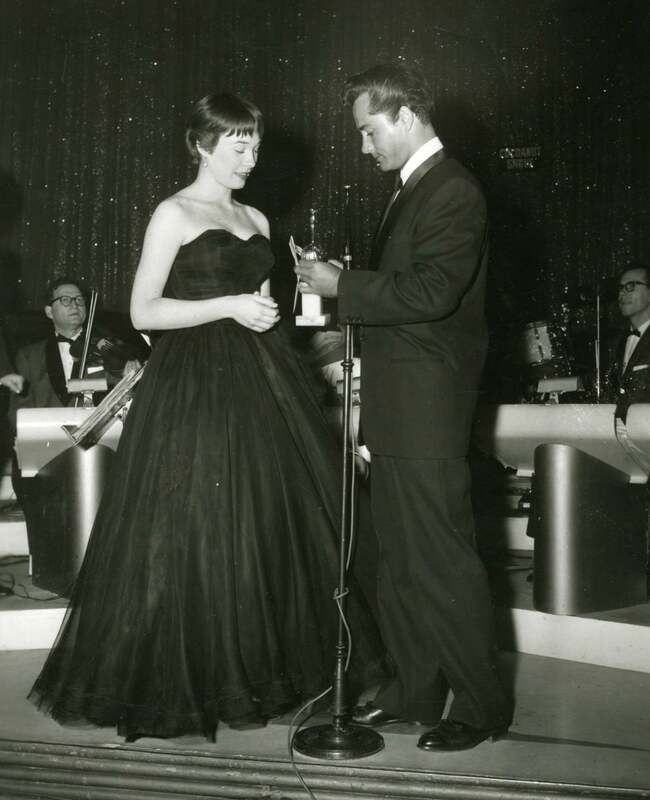 On In March 5th, 1959 Shirley MacLaine was at the 16th Golden Globes, held at the Ambassador Hotel’s Cocoanut Grove, receiving a special award from the Hollywood Foreign Press as Most Versatile Actress of 1958, for her work in Vincente Minnelli’s Some Came Running, co-starring Frank Sinatra. In 1955 MacLaine had won a Golden Globe as Star of Tomorrow, after her film debut in Alfred Hitchcock’s The Trouble with Harry. She would win four more Best Actress Golden Globes: in 1961 for The Apartment, in 1964 for Irma la Douce -both films directed by Billy Wilder and co-starring Jack Lemmon-, in 1984 for director James L. Brooks' Terms of Endearment and in 1989 for director John Schlesinger's Madame Sousatzka. MacLaine is also the recipient of a Cecil B. deMille award.